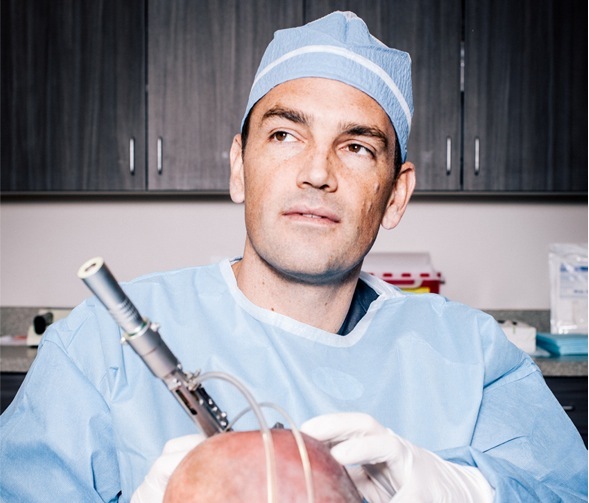 Suni Feature writer, Lessley Anderson, of The Verge was initially drawn to the surgical research performed by Dr. Wesley while witnessing his presentation (and many others) at the International Society of Hair Restoration Surgery (ISHRS) Conference in San Francisco in October of 2013. After numerous interviews both with Dr. Wesley as well as candid discussions with patients and other physicians in the field, she composed a detailed feature article on his novel approach to harvesting the stem cell-specific region of each hair follicle without traumatizing the overlying skin surface (piloscopy). With 9 million unique visitors to TheVerge website each month and “The Sultan of Scalp: one doctor peels back the skin to find a better cure for baldness” article drawing more viewers than any other during the month of July, millions of patients became aware of the way in which our practice (and the Pilofocus company) may help improve patients’ surgical outcomes in our practice and in other surgical centers throughout the world.